- Prostate Cancer UK	has been named as the National League’s first ever official charity partner for Season 2018/19. - In celebration of this partnership, for the first time in English football history, a league will re-brand mid-season. 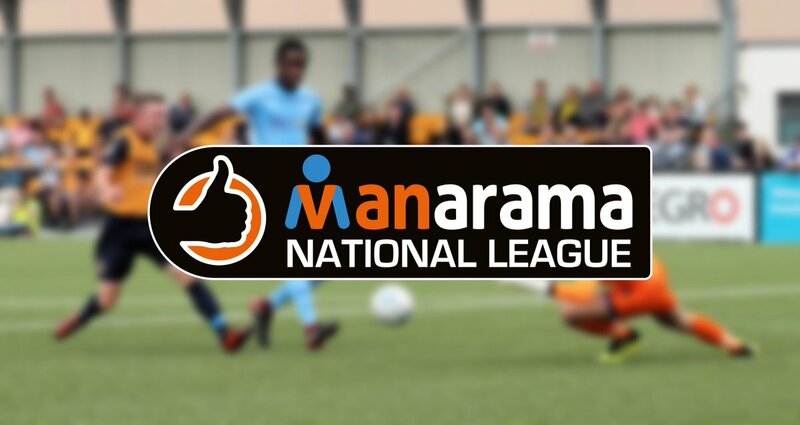 - Title sponsors of the league Vanarama	has changed its name to MANarama throughout the month of September, and to support this initiative the National League will rebrand as MANarama until the Non-League Day on 13th October. The National League has chosen Prostate Cancer UK	as its first ever official charity partner, to unite in the fight against the UK’s most prevalent male cancer, a cancer that kills one man every 45 minutes. In a first for English (and world) Football a national football league will change its branding midseason. Vanarama, the title sponsor of the National League, is changing its name to MANarama throughout the month of September to raise awareness of a deadly cancer that every man should know about. The rebranding to MANarama features a new league logo that will draw attention to the fact that every forty-five minutes a man dies from Prostate Cancer – Vanarama’s own site has also been completely re-branded to reflect its commitment to the fundraising drive. Vanarama has also pledged to raise £150,000 in just 45 days from a vehicle-leasing incentive that runs across September, as they tell the nation to ‘lease a van, save a man’. Vanarama and its newly-launched car leasing platform, Motorama	, will donate £50 for every vehicle leased from the start of September until Non-League Day, when a cheque will be presented on October 13th at FC Halifax Town vs Chesterfield live on BT Sport. The 45-day challenge reflects the tragic fact that every 45 minutes a man dies from prostate cancer. “One man dies every 45 minutes from this disease, so we need to take action. The passionate fans in the National League - including my lot at Hartlepool United and throughout the non-league pyramid – represent the perfect platform for us to unite against the toughest opponent of all.